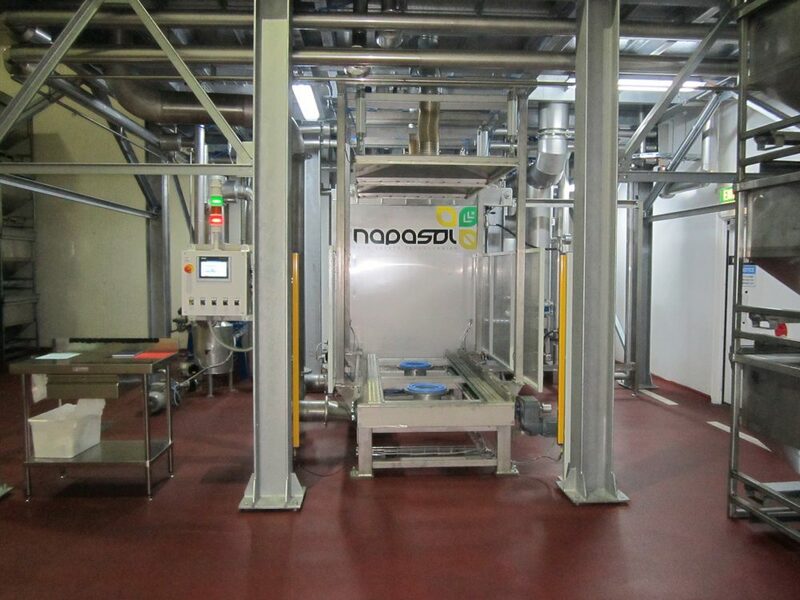 The clean, green and safe reputation of Australian macadamia nuts has been further enhanced with the installation of a new $1.7 million pasteuriser at Australia’s largest macadamia processing factory near Lismore. Macadamia Processing Company at Alphadale recently installed the industry-leading food safety technology from Europe to ensure consumers have the best tasting macadamia experience that is also safe. “Food safety is paramount in our business,” said MPC General Manager Steve Lee. “We have never had a food safety scare at MPC and have spent a lot of time and effort to find the best food safety technology suitable for use on the delicate macadamia kernel at a commercial scale. Mr Lee said MPC is the first macadamia processor in the world to successfully install this type of machine in its processing line ensuring a massive reduction of microorganisms that may cause food-borne illness. “There have been some well publicised food-borne illnesses in other food products nationally and internationally, involving organisms like Salmonella and E coli,” he said. Mr Lee said the new technology is a way for MPC to ensure its brand reputation continues to be first class. “Consumers rightly have a high expectation about the quality and integrity of the food they consume and this investment shows MPC’s commitment to meet this expectation. “We are also protecting our grower suppliers from flow-on effects of the potential cost and damage of a product recall that can run into the millions,” he said. Mr Lee said MPC is a co-operative owned by more than 180 Australian macadamia growers. It was established in 1983 and is now the world’s largest processor and supplier of bulk macadamia kernel, representing about 25% of the Australian crop. The company actively develops new macadamia products and new markets for macadamias on the global stage. It employs 170 staff and operates around the clock during its busy processing season which runs from April to October each year.